Callum Hudson-Odoi has made a blistering start to life under new manager Maurizio Sarri. Not only has he started all of Chelsea's pre-season friendlies so far, but along with summer import Jorginho he has probably been their best player. Hudson Odoi looking undroppable at the moment. Best player on the pitch. Pretty certain Sarri will give him a chance to start and shine at Wembley against City after that - well who knows? He'd be the first name on my team sheet. Hudson-Odoi's velcro close control, dribbling and all-around technical ability have impressed Chelsea supporters to no end. And it's not only that, it appears that he will continue to be a part of Sarri's first team plans when the upcoming Premier League season kicks off on August 11. The under-17 World Cup winner, who played the full 90 minutes in England's 5-2 win over Spain in the final, also endeared himself to Blues supporters after the game with a great gesture. Not that he needed to do much else having grown up in Wandsworth, just over the river from Stamford Bridge. 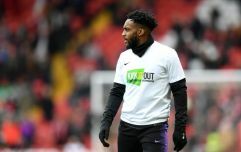 After his scintillating performance in Dublin's Aviva Stadium, where he once again looked like the best player on a pitch full of established Premier League talent, he acknowledged the travelling support by gifting his match shirt to a young fan watching on as they clapped the player off. After a brilliant performance, Hudson-Odoi gave yet another shirt away + made sure every single Chelsea fan on this side of the pitch got a selfie / autograph. Working with Sarri has clearly eased his transition into the first team squad and Hudson-Odoi told Sky Sports that he enjoys the former banker's attacking style, citing the fact he is free to pick up the ball in pockets of space and drive forward at will. At Napoli, Sarri brought the best of Lorenzo Insigne, a similarly gifted wide threat that would drift inside, by keeping him aggressively pushed up high and wide even when his team didn't have the ball, which often negated any threat the opposition full-back might pose on the overlap. 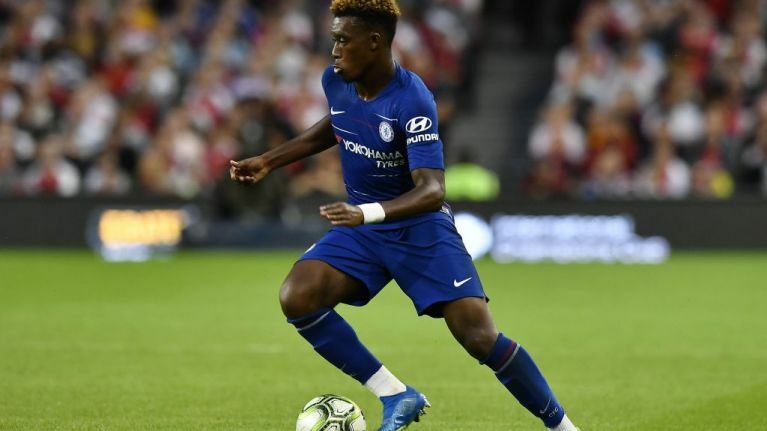 Whether Hudson-Odoi does have a breakout season this year, and it looks increasingly likely he will given Willian's seemingly imminent departure, it is clear that he won't be following the familiar well-trodden path of the typical promising Chelsea youngster. A Wikipedia page of Vitesse (loan), Championship club (loan), Premier League club (load), sold for nothing or released on a free, doesn't appear to be on the cards for him, even if it has ensnared the likes of Nathaniel Chalobah, Kennedy, Lewis Baker and even Ruben Loftus-Cheek (until recently) in the past. It seems it's not just Sarri breathing new life into this Chelsea team. After his display against Arsenal, is Callum Hudson-Odoi set to break into the Chelsea first team?